Chris DeRose has been a working professional actor for almost 10 year. 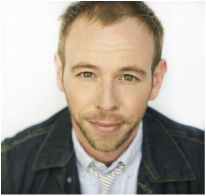 After receiving a Bachelors in Theatre Arts from McDaniel College in Westminster, Maryland, Chris moved to Chicago to study improv and sketch comedy at famed theatre's such as iO, Second City, and Comedy Sportz. 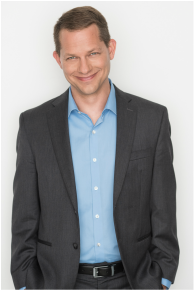 After years of classes and regularly performing in Chicago's improv scene, Chris moved into corporate acting and MCing, becoming a personality at annual meetings, corporate retreats and conventions. The thing he is most proud of though, is for the last three years, Chris has been a Producer and On Air Contributor with the hottest morning television show in Chicago, WCIU's You and Me This Morning. Every week day, you can catch Chris doing a variety of reports ranging from history pieces on the city, to funny man on the street quizzes, to celebrity interviews. For more information, you can follow Chris DeRose on his Facebook fan page, Instagram, or on Twitter: @ChrisDeRoseWCIU. Brian Finlay is pleased as punch to be a member of Mansical. Brian was born in St. Louis, MO and graduated from Truman State University in 2003 wondering what to do with his BA in English. Brian has studied improv at iO , Second City and Annoyance theatres. Brian can currently be seen most Wednesdays at ComedySportz in Battleprov. Just like every other member of Mansical Brian has performed with Infinite Sundaes at the Second City Training Center. Among other things, Brian is known for inventing his own nickname (DICE), and creating the slogan 'loving it', eventually adopted by McDonald's and changed to "lovin' it". Michael Girts has performed for The Second City in Rod Blagojevich Superstar, Rush Limbaugh! The Musical and Fair and Unbalanced. He has also performed for The Second City aboard Norwegian Cruise Lines, during which time he traveled to Puerto Rico, the Virgin Islands, the Bahamas, Central America and Mexico. Other credits include the Chicago Improv Festival, Chicago Sketchfest, Laugh Out Loud Theater (Schaumburg, IL) and ImprovAcadia (Bar Harbor, ME). Michael is half of the award-winning improvised musical Kate & Mike: The Musical. He earned his BFA in acting from Syracuse University and his MBA from the University of Notre Dame. Michael teaches improvisation and runs workshops for various universities and professional organizations. Zephian Michaels could not be happier Mansical is a thing. When he isn’t carrying on and cutting up with the other men folk of Mansical. Zephian can also be seen performing with Infinite Sundaes, Storytown, Formal Apology, Bo Problems, Dark Triad, FDR and !Lacisum, The Improvised Backwards Musical. He has been lucky enough to do musical comedy in the past at Gorilla Tango, Comedysportz and The Annoyance. He is thankful to be part of such a wonderfully talented and giving community. Also thank you to the many loved ones in his life who inspire and support. Israel Pederson is thrilled to be a part of Mansical! A Purdue University graduate, Israel has studied at ComedySportz Chicago, the Second City Musical Conservatory, and iO Chicago. He can also be seen around town performing with Comedysportz, the Cupid Players, The Process Theater Group, his improvised rock band - Reset List and in Schaumburg at the Laugh Out Loud Theater. Also, this group is the most fun in the world. Seriously. Andrew Ritter has performed in a wide variety of plays, sketch and improv shows in Chicago including: Jewsical! The Musical (The Second City Theatricals), An Average Man (American Blues Theater), The Best* Church of God, Too Soon? A 9-11 Sketch Revue, The Sister's Rosensweig, Angerstein Street, The Cupid Players, Vampire Lesbians of Sodom. He's been in a few commercials for Jango SMTP, Casey's General Store, Red Box, GE Health. He has directed countless sketch and improv shows like: The Greatest Story Never Told (Critics Pick - Chicago Reader, Chicago Parent Magazine, Windy City Live), The Digital Age Gap, Democracy Burlesque, Infinite Sundaes, Improviser! A Musical Sketch Comedy Revue, Storytown. Andrew is on faculty at the Second City Training Center and is a teaching artist with the Emerald City Theater School and Dream Big Performing Arts Workshop. 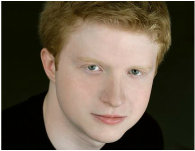 Andrew has a BA in Theater & Psychology from Middlebury College, VT, and received additional training at The Actors Theater of Louisville and the British American Dramatic Academy.